U.S. coins have a "face value," regardless of age or condition. In other words, a dime is always worth a dime and a quarter is always worth a quarter. That makes buying coins wholesale somewhat difficult. 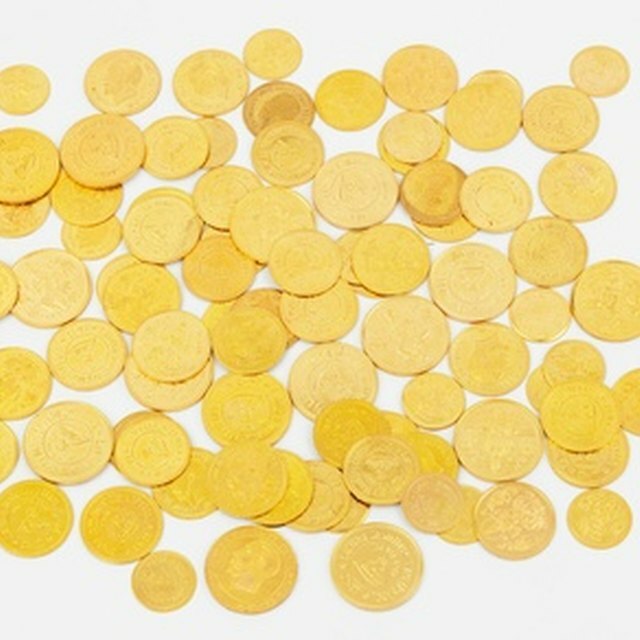 The one exception is when you purchase "junk" silver coins at less than the value of the silver in the coins.That is the one time it can be said that you are buying coins wholesale. Study the price of silver. The price of silver fluctuates on a minute-to-minute basis during the hours when silver is traded on the U.S. commodity exchange, COMEX. Get to know and understand silver prices so you can best judge when prices are at a short-term low. Find a seller of junk silver. Check your local phone book, access Craigslist.org on line or look on line for junk silver sellers. Many coin dealers sell bags of junk silver. Buying locally means that you can eliminate the cost of shipping the coins, which can be quite high. Have cash and choose a time when the spot price of silver is going down. Silver bags can have anywhere from $250 to $500 to $1,000 in face value for its allotment of pre-1964 U.S. coins with a 90% silver content. A bag with $1,000 of face value coins contains approximately 715 ounces of pure silver. Purchase your bag of silver as close to the spot price as possible and choose a time to purchase when the spot price is at a low point. Do not make arrangements to buy or sell silver at your home. Always meet in the lobby of a bank or at a coin dealer&#039;s shop. Weigh the bag of silver that you are buying before handing over any cash. A bag containing $1,000 face value of silver weights exactly 795 ounces. Inspect the contents to make certain there is nothing in the bag other than silver coins.